E3 is my second favorite time of year, Christmas is first. 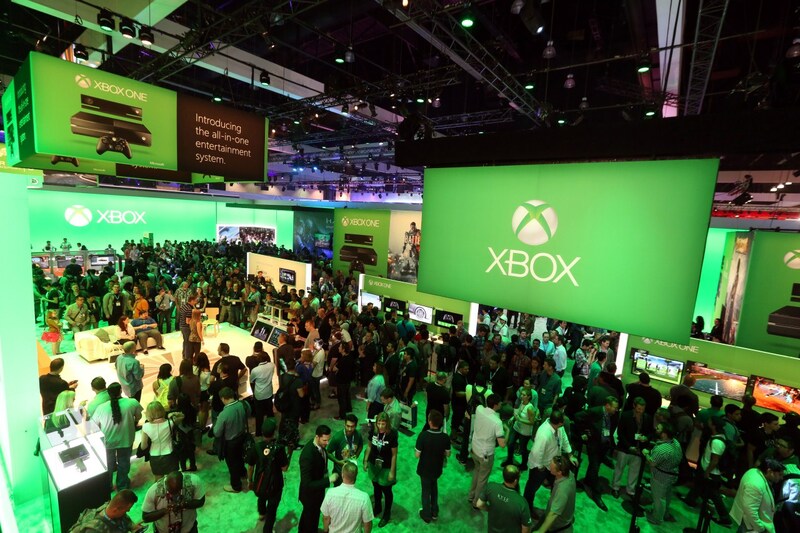 My favorites aside, let’s get to the main question, do we really need huge press conferences, fancy booths, and all the other glitz and glam that E3 has become? Companies use so much time and resources to put on a show, that I can’t help but wonder if everyone would be much happier without all the fanciness. They’re huge. In gigantic halls that hold thousands of people, with multiple big screens, special celebrity guests, and of course include whatever the host company has been working on. Not to mention, there’s also a bunch of rehearsals. Rehearsing is good because you want to create a cohesive, easy to understand presentation. But rehearsals also take time away from employees who can be working on something better than a presentation. What if we were to get rid of the multiple big screens, shrink the venue, eliminate celebrity guests, and just show off what’s important. It’d take a lot less coordination by the host company, it would be more focused on what gamers want, and we could all still get the information. This is definitely the ‘digital age’. We can all watch an E3 press conferences in the comfort of our homes or on the go with any mobile device we own. There’s no reason for thousands of press people to be in that large room relaying the information to the rest of us. We can get it ourselves. The only thing we need them for is to follow up with questions that we have. Somewhere along the line, someone thought that making a bigger booth is a better idea. Sure, it attracts more people to your booth and is also an easy way for attendees to locate your presence on an extremely busy show floor. However, is it really necessary? Once again, we all live in the digital age. We can easily use our phones to get around a conference center (once these conference centers get reliable cellular or WiFi – which they should all have). The problem with large conventions is even if you drop a bunch of money on a gigantic booth setup, you may still go largely unnoticed. There needs to be another way to get an attendee’s attention other than gigantic booths. To outsiders, what’s in a company’s booth, the setup and overall feel is largely a mystery. Maybe companies should provide better insight to their booth for gamers at home, then gamers can relay what they want to press on the show floor. You could even take the ‘booth at home’ experience as far as creating a complete virtual booth. The technology is there for someone to walk around a virtual Microsoft, Sony or Nintendo booth. Not to mention services like OnLive and soon to be released Sony’s PlayStation Now, can reliably stream games to people anywhere in the world. Taking the virtual dream one step further, let people at home actually play E3 game demos through a service like OnLive or PlayStation Now. Even though other events exist around the world such as Tokyo Game Show and Gamescom, there are more eyes on E3 per year than any other event. Although, E3 does not have to grow in proportion to the number of eyes that are on it. As size increases, so does the ‘noise’ of everything happening at once, it becomes madness. E3 organizers and game companies should be focusing on how to streamline their information for consumption by masses – rather than throwing everything at press, hoping press covers everything, then hoping gamers at home actually read it. Information should be provided equally and gamers should be able to investigate anything they want in more detail.